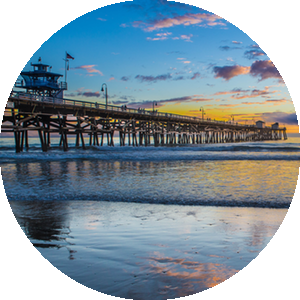 San Clemente homes combine the charm of small beach town living with the convenience of a first-class city, to create one of California's most-desired communities. Pristine beach front property, gorgeous neighborhoods and premium surfing are just a few of the factors that make San Clemente homes some of the best in the world. 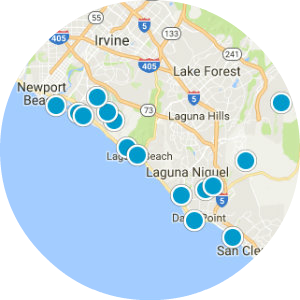 San Clemente houses for sale are some of the most affordable homes in the region. From single-family homes to luxury estates, San Clemente real estate offers great value per dollar. These properties boast stunning architecture, premium location and fantastic in-home amenities, making it easy to enjoy life in a San Clemente home. With a few of the best surf sports in the world, San Clemente is constantly drawing tourists and visitors alike to its white sand beaches. San Clemente is home to Riviera, Trestles and Cottons, three popular surf spots with a range of waves that vary in difficulty. For those who would rather relax, San Clemente offers golden sand beaches for reading and tanning, as well as numerous walking and hiking trails. San Clemente offers residents a number of recreational opportunities, including dozens of parks and sports fields, drop-in kids programs, an aquatics center, golf, and seniors activities. There are also hundreds of additional opportunities to socialize and have fun, including clubs, volunteer activities, social groups and hobby meet-ups. San Clemente homes also have access to a number of progressive environmental programs, including Stop & Swap household recycling, curbside waste and recycling, hazardous materials facilities, energy conservation initiatives and water management programs. These environmental initiatives allow San Clemente home owners to feel good about their effortless contributions to preserving our planet.